Beth Shistleis a retired teacher from DeLand, FL. who has been participating in street painting festivals since 2004. Retiring early from teaching elementary school, Beth creates commissioned portraits of people, pets, and landscapes in her realistic style. In her home studio, she works with a variety of media such as colored pencil, acrylics, and pastels. She also enjoys singing in a choir and camping. Beth is a Maestro designated member of the Florida Chalk Artist Association and a member of the International Street Painting Society. Some of her work can be seen at www.bethshistle.com. 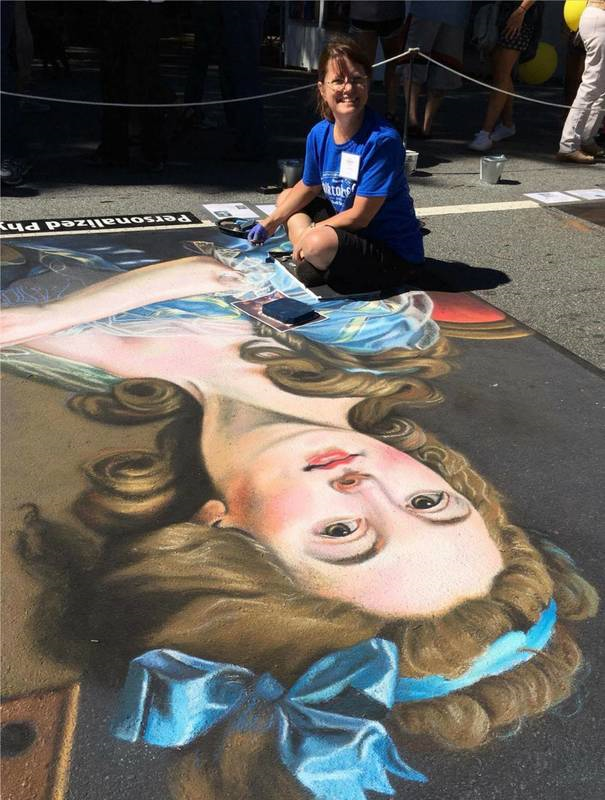 She is celebrating in Marietta this year her 100th street-sidewalk chalk painting.